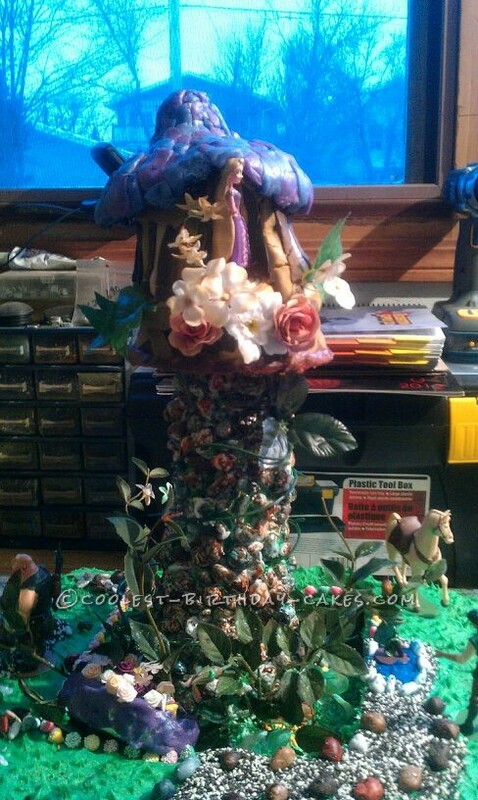 This Tower from the Disney Movie Tangled cake was the first larger scale cakes I did. I love designing cakes, it is truly my passion! This was for a 3 year old girl and she loved it. They posted lots of pictures which was awesome and was a good indication that I did a good job. I run a business called C.Tadich designs, I have been doing this for 10 years and feel truly blessed to be able to follow my passion and make people happy through my cakes. I started with the base and added from there. The tower was the hardest but also the funnest part. 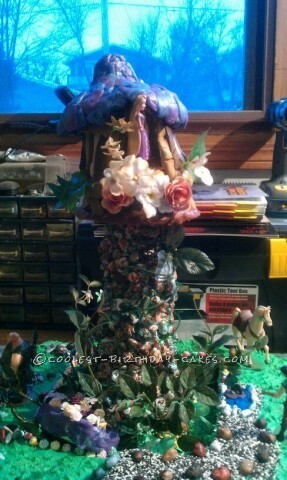 I put a lot of hours into the cake working on each section and then assembling them. The best part of any cake of course is the reaction when the person see the cake for the first time. It just brings me so much joy and it makes all the planning and hours worth it.